SEA VIEWS FROM JULIET BALCONYLOW MONTHLY SERVICE CHARGE with option to purchase share of FREEEHOLDSTYLISH BRAND NEW APARTMENT JUST MOMENTS FROM THE BEACHOffering modern, open plan living with SEA Views from the Juliet balcony comprising of kitchen/lounge, two bedrooms and bathroom. Nominated by the local authority building awards for build of excellence.The property briefly comprises of open plan kitchen / lounge with Juliet balcony, two bedrooms, and arrange a viewing please call Pennaf Premier on . GROUND FLOOR ENTRANCE Enter communal hallway via Composite door, intercom system, carpet to the floor, emulsion walls, stairs to first floor, handrail, stairwell lighting, smoke detector, two Velux windows. FIRST FLOOR COMMUNAL HALLWAY Carpet to the stairs, emulsion walls, access to apartments A B & C. ENTRANCE HALLWAY FLAT B Enter via front door, carpet to the floor, emulsion walls with coving to ceiling, central light, smoke detector, doors leading to the other rooms. OPENPLAN KITCHEN/LOUNGE 3.33m x 5.24m (10' 11" x 17' 2") Lounge - Carpet to the floor, emulsion walls with coving to ceiling, central light, ample power points, tv aerial point, radiator, rear facing Upvc patio doors with Juliet balcony with sea views. Kitchen - Well appointed kitchen comprising of wall and base units, integrated fan assisted electric oven, induction hob with overhead extraction, space for fridge freezer, inset stainless steel sink and drainer with mixer tap, tiled splash back, plumbing for washing machine, tiled flooring. BEDROOM ONE 3.32m x 2.63m (10' 11" x 8' 8") Carpet to the floor, emulsion wall with coving to ceiling, radiator, ample power points, central light, side facing Upvc double glazed window. BEDROOM TWO 3.15m x 2.61m (10' 4" x 8' 7") Carpet, to the floor, emulsion walls with coving to ceiling, radiator, ample power points, central light, built in cupboard housing combi boiler, rear facing Upvc double glazed window with sea views. BATHROOM 2.04m x 1.92m (6' 8" x 6' 4") Modern bathroom suite comprising of bath with shower over and glass shower screen, pedestal wash hand basin with mixer tap, low level W.C., tiled floor, emulsion walls with coving to ceiling, central light. OUTSIDE FRONT ENTRANCE Paving to the front enclosed with low brick wall, steps to the entrance. REAR DESIGNATED PARKING There is one designated car park space to the rear and four visitor car parking spaces. REFUSE ENCLOSURE Designated refuse enclosure and access to the apartments from Victoria Road. OTHER PHOTOGRAPHS Internal photographs will be added shortly. 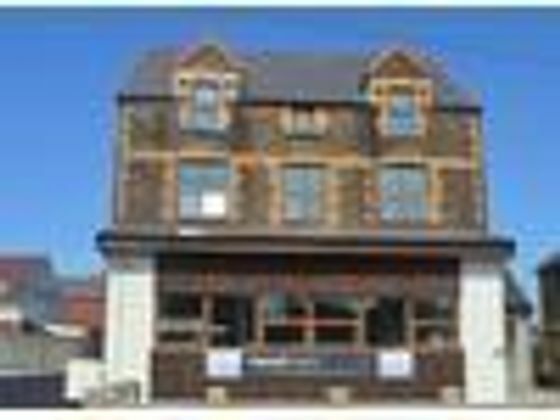 Property advert Ref 4232009 - Is a property advert for marketing purposes only, the information has been supplied by the owner, estate agent or property portal and The House Shop makes no warranty as to the accuracy or completeness of the information. Furthermore we have no control over the adverts content. This property advertisement does not constitute property particulars. Please contact the advertiser to obtain any information regarding The Energy Performance Certificate regarding homes in England and Wales or Home Report for residential property in Scotland.